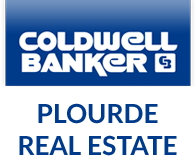 Welcome to Coldwell Banker Plourde Real Estate, your most reliable source for Waterville area real estate since 1989. Located in the heart of Waterville, our expert agents live, play, and work here in beautiful Central Maine. We proudly specialize in Maine Lakes Region real estate and are experienced in buying and selling lakefront properties throughout the Belgrade Lakes Region and the Waterville area. This unparalleled local knowledge paired with our deep appreciation for our community makes our team unlike any other. Whether you’re planning to sell or buy a home in the Waterville area, the market is constantly shifting. We offer the knowledge and experience required for your real estate success, and the peace of mind to make it a smooth process. Contact us today to get started!